You might describe my work as abstract or non-representational in style - often including heavy textural elements and/or embedded metals. I used to believe creating "abstract art" was going backwards artistically. But now I realize it takes a creative vision to see beyond what's in front of you and I've found — through abstraction — I can more readily present an emotional impact others might relate to. My goal is to create a relationship through a personal connection to the piece. Set Designer, Annenberg Grant recipient - Nebraska PBS. 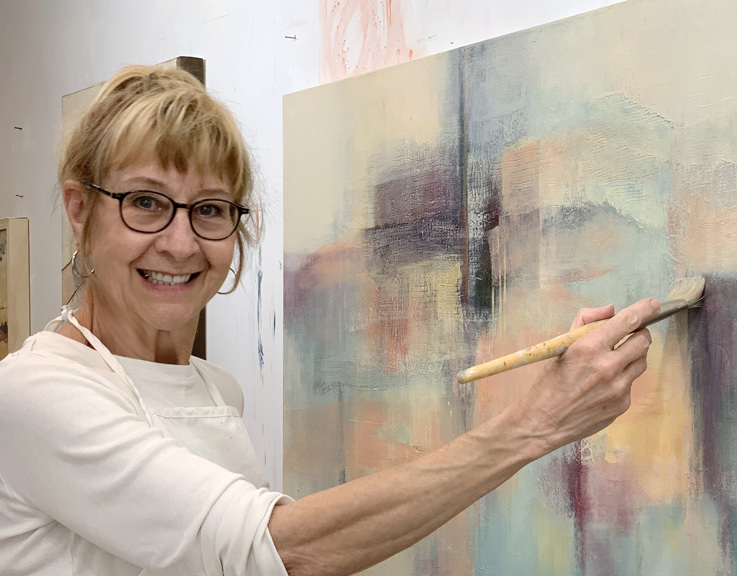 Full-time studio artist showing at galleries and exhibitions near Lincoln, NE.